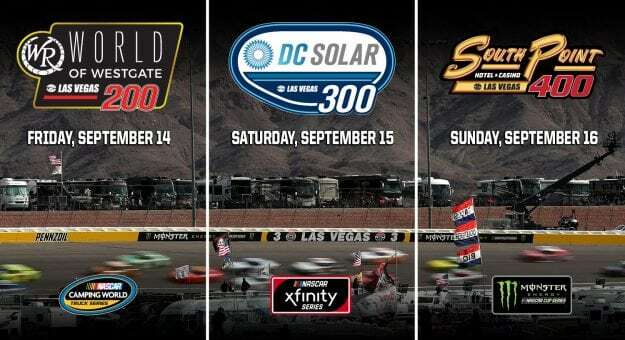 The start of the Monster Energy NASCAR Cup Series playoffs headlines a tripleheader weekend of racing at Las Vegas Motor Speedway. 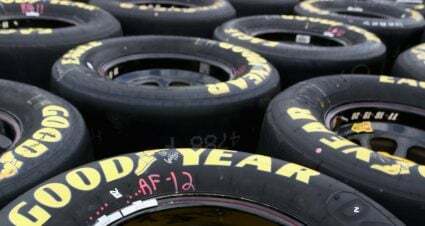 All three of NASCAR’s national series will be in action at the 1.5-mile track marking the first time in history LVMS has played host to a second weekend of racing including the Cup Series. 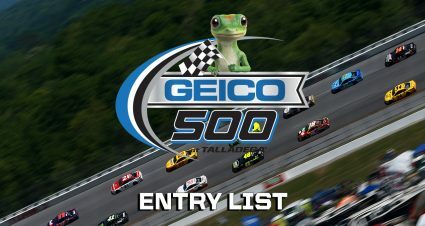 Sunday’s South Point 400 is the first race of the 2018 Cup playoffs with 16 drivers set to embark on this year’s championship journey. 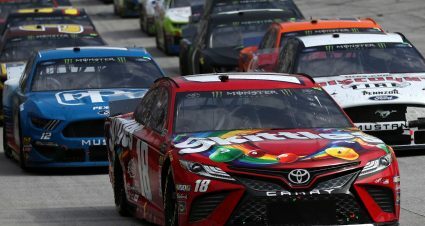 LVMS is the first of three races comprising the opening round that also includes Richmond Raceway and the road course at Charlotte Motor Speedway. The four drivers at the bottom of the playoff grid after the opening trio of races will be eliminated from the title race. Sunday’s race will be the 22nd for NASCAR’s top series at Las Vegas with Kevin Harvick winning the series’ first visit in March. 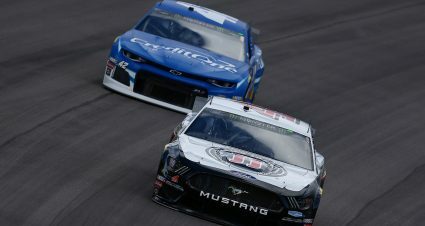 Harvick along with Kyle Busch are tied on top of the playoff standings coming into the weekend and both drivers want to start things off on the right foot. Busch kicks of the playoffs with a home game of sorts as the Las Vegas native races in front of his fans and family on Sunday. He knows it will be difficult to add a win to his 2009 LVMS triumph especially with the playoff pressure now ramped up. “Yeah, Vegas always means a little bit more pressure – more pressure on myself – just because it’s the hometown and you want to win there,” Busch said. 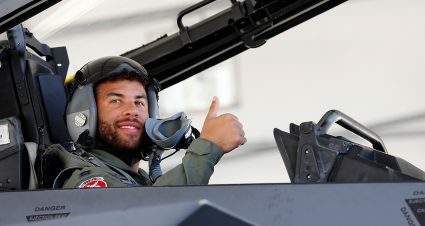 “Thankfully, I have won there and I’ve knocked that one off the list, but certainly you want to win there every year. I love Vegas, the atmosphere and everything going on around that place. Saturday’s DC Solar 300 is the final race of the Xfinity Series regular season and will set the playoff grid. Chastain makes his second start for Chip Ganassi Racing. He was dominating the last time out at Darlington until an incident with Kevin Harvick while battling for the lead. He’s hoping for a better finish this time out and with it locking up a playoff berth. Meanwhile, last week’s Indianapolis winner Justin Allgaier has all but locked up the regular season championship and the 15 bonus playoff points that go along with the accomplishment. The JR Motorsports driver would love to put an exclamation point on a stellar regular season with win number six of the season on Saturday. 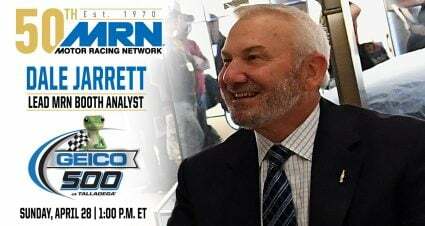 The weekend starts with Friday night’s Camping World Truck Series World of Westgate 200 (MRN, 8:30 p.m. ET). 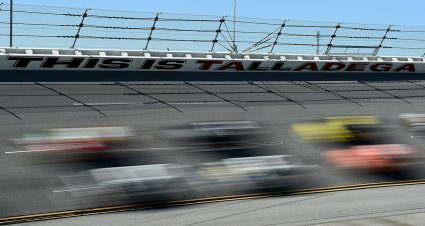 It’s the second race of the circuit’s playoffs with the round ending next month at Talladega Superspeedway. 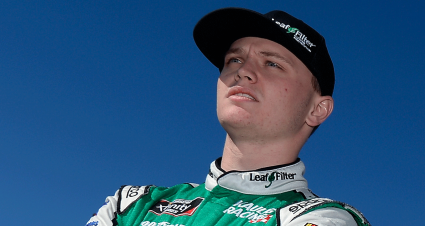 Justin Haley has already advanced to the second round by virtue of his dramatic win at Canadian Tire Motor Speedway when he was the beneficiary of a last lap accident between teammates Todd Gilliland and Noah Gragson who were running first and second. Only Johnny Sauter and Ben Rhodes have Las Vegas wins on their resume of the drivers entered for Friday night’s race. Sauter and fellow playoff driver Matt Crafton each have nine career 1.5-mile race wins during their Truck Series career and a tenth by either Friday night would send them to the next round of the playoffs. Also, the Las Vegas Motor Speedway Dirt Track will host the NASCAR K&N Pro Series West on Thursday night with the Star Nursery 100. Christoper Bell and Brendan Gaughan are making their returns to the K&N Pro Series West, both driving for Bill McAnally Racing.